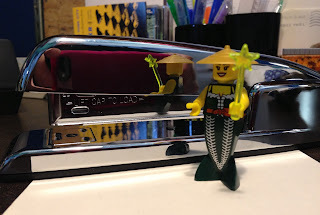 I got a new stapler! It is chrome, and is heavy enough to be a weapon. 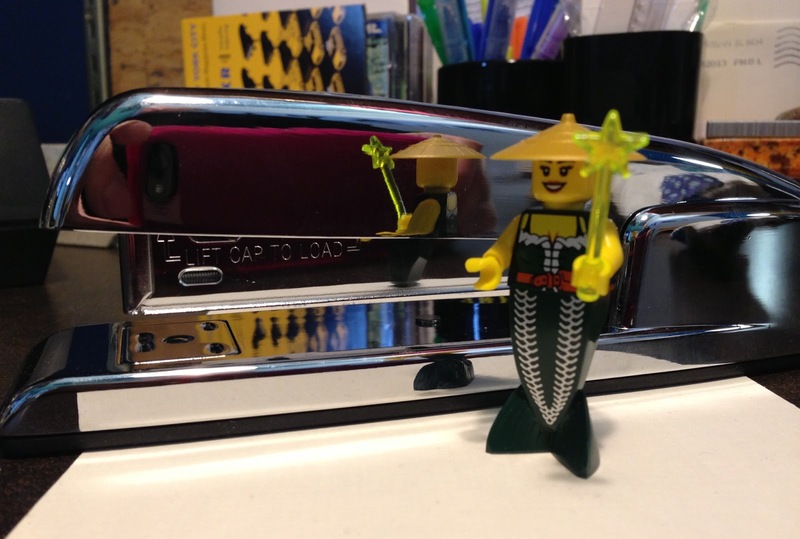 My Chinese mermaid fairy likes it very much. 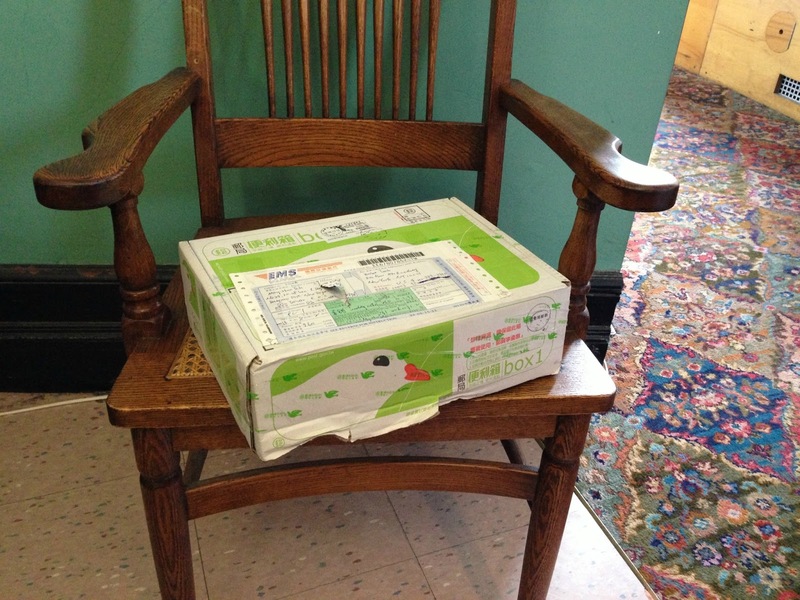 Also, a box arrived in the mail, from Taiwan. 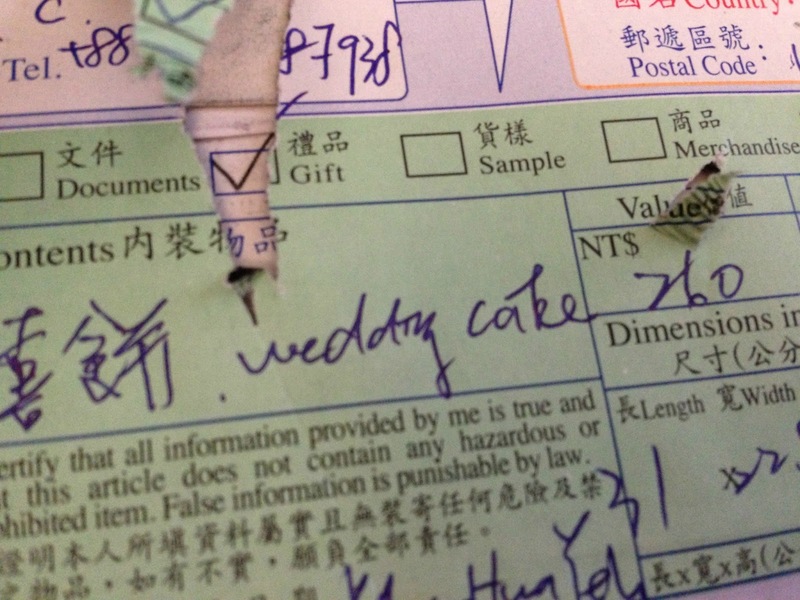 Boxes from Taiwan are all well and good, but according to the customs form, this one contained wedding cake. 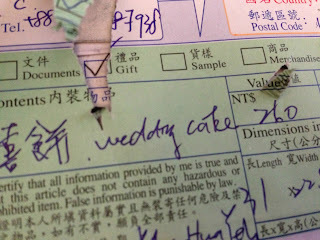 I was a little skeptical, but in fact, there really was cake inside, special Taiwanese wedding cake. 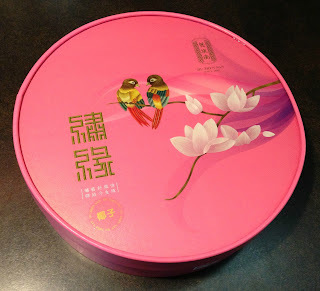 It got eaten before I could take its picture, but truly, there was cake in that sweet pink box. Do you have any small joys to share? Let me ponder the small joys---I guess I am still seeing my own bed as a small joy after so much time on the road this summer--but I have to ask: why did you get wedding cake in a lovely pink box at work? Certainly not an international cake. Pout. I have a bajillion small joys but my brain is too addled right now to think about them. Okay, how about this small joy: There is a small brown wild bunny rabbit in my back yard. That is definitely a small joy. where did you get the Chinese mermaid fairy? I don't recognize her! Yes: I put together a photo collage of our summer via Shutterfly that I quite like. I actually went to a wedding in Taiwan! I have no memory of the cake, sadly. Small joy: Watching my daughter land an axel (even if she was in the harness) and finishing almost all the back-to-school shopping.